The basic Bentley Mulsanne version defies logic for a car its size with a 0-60mph set at 5.1 seconds. Top speed is 184mph which for a car this size requires impressive engineering. Fuel economy won’t read well with the extra urban figures coming out at 28mpg however you can expect a figure of about 12.1mpg to be a more realistic return. Precise handling and instant acceleration are all a feature of the Mulsanne and you never quite feel you’re in a car this big thanks to the steering and braking. 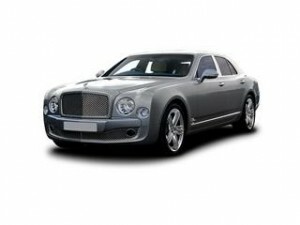 See how much you could save on the iconic Bentley Mulsanne via one of Coast2Coast Cars handpicked Bentley specialists. Save a fortune from the list price of your new Bentley just by using our online quote service today. Simply build and spec the car of your choice and we do the rest for you, displaying deals and offers to suit your budget and with no obligation at any time it’s a no brainer when you’re looking for a new Bentley. Finance can also be arranged too via the dealer direct subject to status, simply ask for more details when you have received your price quotes online.